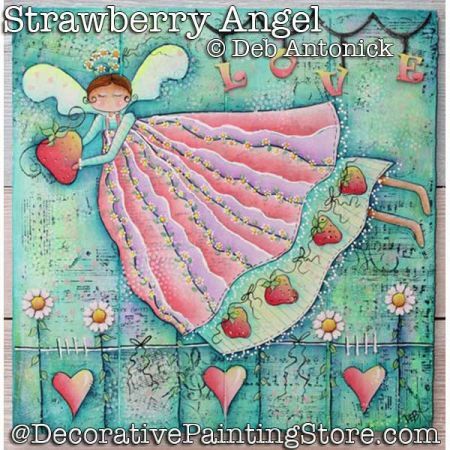 Angel holding strawberry painted on 10"x10" grooved panel. Wood surfaces available at Bear With Us. Pattern includes photo, instructions, line drawing for design.